Addiction is stigmatized throughout our society and the guilt and shame of substance abuse often makes it difficult, if often not nearly impossible, for addicts or their families to step forward into the light and seek help. This guilt and shame can run even deeper in certain communities, close-knit that exist and operate independently of “normal” society. This can often occur in deeply religious communities. 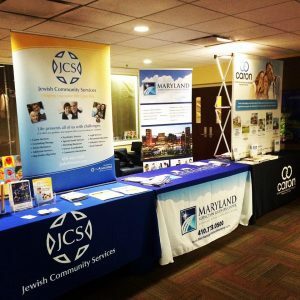 Recently, Maryland Addiction Recovery Center partnered with Jewish Community Services of Baltimore and Caron Treatment Centers to create the new Jewish Recovery Network, an affiliated group of organizations that are able to offer the Jewish community of Baltimore an integrated network of treatment options and a continuum of care for patients and families in need. This was recently detailed in the blog “Addressing Addiction in the Jewish Community” by Howard Reznick, LCSW-C, Senior Manager of Jewish Community Services (JCS) Prevention Education. Since 2008, Jewish Community Services has served as a comprehensive, non-profit human service agency of The Associated: Jewish Community Federation of Baltimore, offering a number of mental health, substance abuse, emotional and vocational services. Caron Treatment Centers has been a pioneer in establishing culturally-sensitive programs for their Jewish patients both at their main campus in Pennsylvania and at Caron Renaissance in Boca Raton, FL. Caron has also established strong relationships with organizations like SAFE in Brooklyn, NY and outpatient substance abuse program catering to the needs of Jewish addicts and their families. The drug problems of Baltimore and throughout Maryland have been common knowledge for many years. What hasn’t been as widely known is the affected communities and populations such as the Jewish community that have been severely impacted. The new Jewish Recovery Network hopes to aid in offering necessary services for those in need as well as offering “help, hope and healing.” The first event from the united group, “Clearing the Path: Addiction, Treatment and Recovery in the Jewish Community” was an event that drew over 150 professionals to the Jewish Community Center in Park Heights on December 11th. Speakers included local Rabbi Menachem Goldberger, Sam Bierman, Executive Director of Maryland Addiction Recovery Center, Ike, Dweck, Executive Director of SAFE Foundation in Brooklyn, New York and Rabbi Lipsker of Caron Treatment Centers. This initiative of all organizations involved, and any future organizations, hope to make an inroads into the communities ultimately impacted by drug addiction in Baltimore and offer a way out of the darkness, stigma, guilt and shame and into the light of recovery.